Getting into Astrophotography is a super fun and rewarding hobby. You get to combine the discovery and research of the wonders of the universe with a creative process such as photography. But understanding the gear you’ll need to produce stunning images of the night sky is at least overwhelming. That’s why we created this in-depth and easy to follow buying guide to help you find the best camera for Astrophotography. No matter if you are just starting out, you are an intermediate astronomer or a savvy astrophotographer. We’ll cover the equipment for every need, from the lates DSLR’s to mirrorless systems and dedicated CCD cameras. What to Look for in a Camera for Astrophotography? What Type of Cameras are Good for Astrophotography? What Accesories Are Worth Considering? But before we dive deep into the reviews section let’s understand the different aspects and specs you need to consider while choosing a camera for Astrophotography. The ISO is the value setting of a camera that combined with the aperture and shutter speed will give you the photograph overall exposure. Basically is what you’ll be using to make the photo brighter or darker when you are not able to control the aperture and shutter speed any further. To give you an example you have a 1.8 aperture lens and you are hand holding the camera to take pictures at night. If you go below a shutter speed of let’s say 1/50 to get sharp pictures. Now if those setting are producing dark results you would increase the ISO value to get the desired exposure. Same thing will happen when you are doing Astrophotography. You want a modern camera with a good ISO range. But don’t only consider the numbers, there are lots of crappy cameras that will claim high ISO values and if the sensor doesn’t do a good job with high ISO it will leave you with a super grainy image full of digital noise. The sensor Is the solid-state device on your camera that will capture the light, forming the image just like film did on older cameras. The sensor type and size are fundamental things to consider. There are a lot of sensor sizes, but for the purpose of this buying guide we’ll be covering two of them: Cropped and Full frame. The main difference you need to understand for Astrophotography is the multiplication factor. If you intend to do close-ups, trying to pull more detail, a cropped sensor camera will be handy. You’ll need about a third of the focal length value of what it would be needed with a Full Frame Camera. In the early days of digital photography cropped sensors used to perform worse than Full Frame ones. But nowadays brands like Nikon, Canon and Sony are producing high quality cropped sensors like the one you can find on the Nikon D500. That said, normally larger sensors will produce richer and more dynamic images. For example, let’s take a full frame CMOS sensor like the one on the Nikon D850 (First DSLR to score 100 points on DXOmark). This means the camera will have all it needs to produce high resolution photos with a great dynamic range that will perform very well with different ISO settings. Essentially the Dynamic range is the difference between the darkest and lightest tones in a image. With a camera that produces high dynamic range you will be able to pull more information (blacks, shadows and highlights) from the RAW file of the resulting image. This will be very handy when you are working on Lightroom or another editing software. And you guess it, once again, this we’ll be delivered by the camera sensor in combination with the image processor. We believe the best type of camera for Astrophotography is the one that works for you. If you come from a DSLR background there’s no need to go with a new system that will lead you to another learning curve like a Mirrorless System. If you use them properly and the camera is good like the ones that we’ll be covering here, you can be sure that you will be able to produce stunning photos. This cameras stands for Digital Single-Lens System. These are the evolution of the film days or SLR’s, now we are just adding the digital part. This system has been the standard for several years with cameras for beginners to professional equipment. All the major brands are still producing them and they will be a great choice for several years to come. • They been around for a long time, a system that just works. 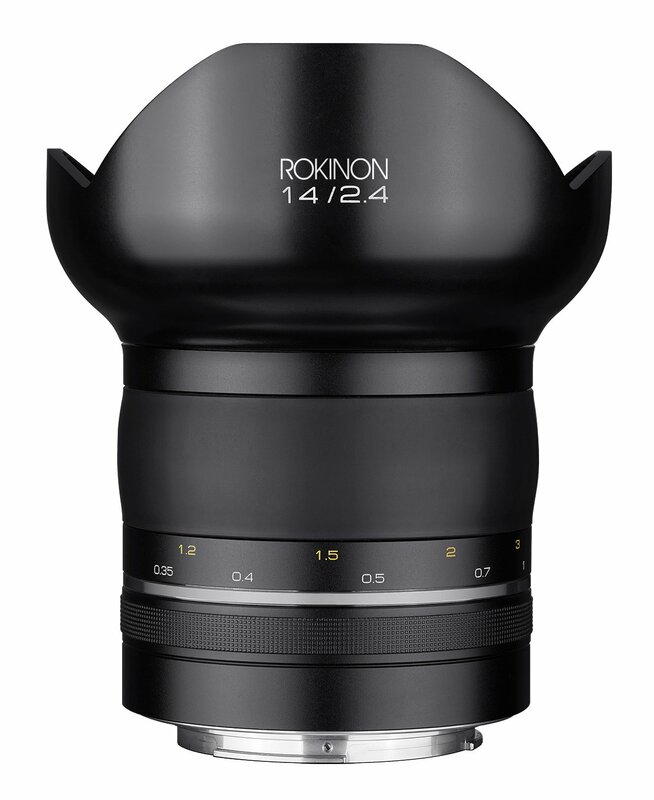 • The variety of lenses is far greater than newer systems. • Full control of the depth of field. • Bulkier than the newer Mirrorless cameras. With the Mirrorless cameras the main difference is they pass the light from the lens directly to the sensor, which captures a preview of the live image on to the rear screen. This is a great new system that a lot of professional photographers are switching to. With the appearance of cameras like the Sony A7 series, Sony pushed the boundaries for Canon Fuji and Nikon to create high quality cameras. • Great for traveling, the Mirrorless cameras are light and compact. • Less variety of lenses. • Still not mature as the DSLR market. If you want to get ultra-specific you can find some dedicated cameras that are specifically design for Astrophotography. Usually this kind of equipment should be considered by the more advanced astronomers. Keep in mind that the camera will be just the first step, you will probably need specific filters and a dedicated software. That said these cameras are design for producing long exposure deep sky photos. So it should be the most professional solution for this purpose. 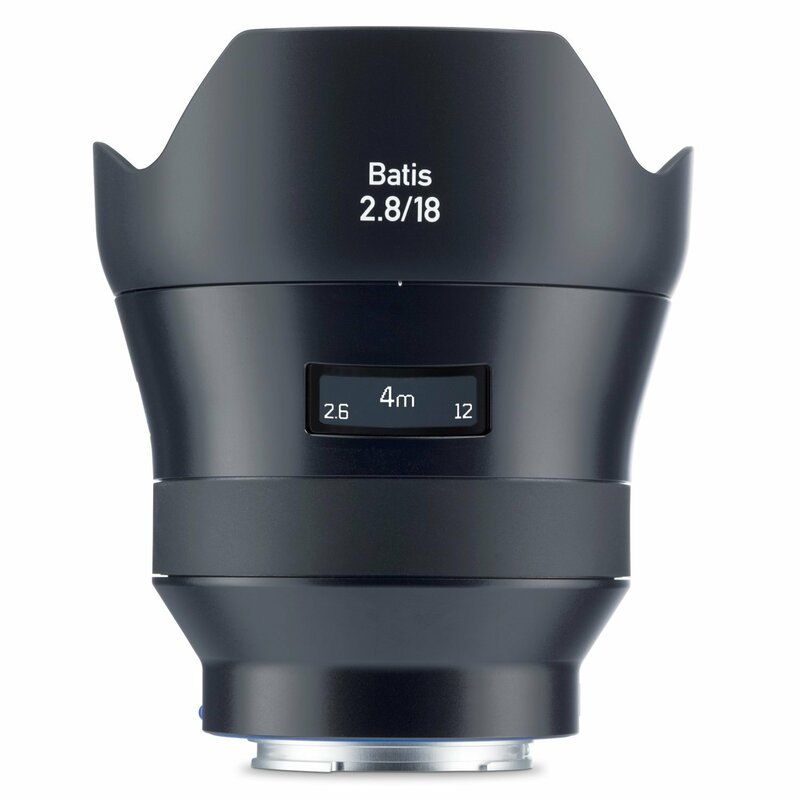 • Designed specifically for Astrophotography. • They are great for Deep-Sky imaging. • Steep learning curve for handling the equipment properly. • There are several accessories needed. • You can’t use the camera for other recreational purposes. There are several ways to do Astrophotography and depending on what you want to pursue the camera of choice will vary. As we talked about in the dedicated cameras sections, these types of cameras like the ZWO ASI 183MC are designed for this type of Astrophotography. Just keep in mind that you will need to purchase some extra accessories. You can also consider DSLR’s, since the newer model are packed with great high resolution sensors like the one on the Nikon D850. We are opening this rundown with a beast. The best DSLR for Astrophotography and for any type of photography period. This incredible camera from Nikon delivers superb image quality with its 45.7 Mp CMOS sensor (the only one scored 100 by DXoMark). A really fun to use camera designed with full weather sealing. So if you are planning to do some outdoor Astrophotography you can be sure that the D850 will be up to the challenge. Beautiful high-resolution CMOS sensor of 45.7Mp. The heart of this cameras is one of the main things we choose it as our pick for Astrophotography. The dynamic range is just amazing, you will be able to pick so much data from your RAW files. It also works with high ISO settings without a problem, leaving useful photos at higher values without visible grain. The Nikon d850 comes with an impressive focus system with 153 focus points, 99 of them being cross-type. The working range goes from EV-4 to EV 20. 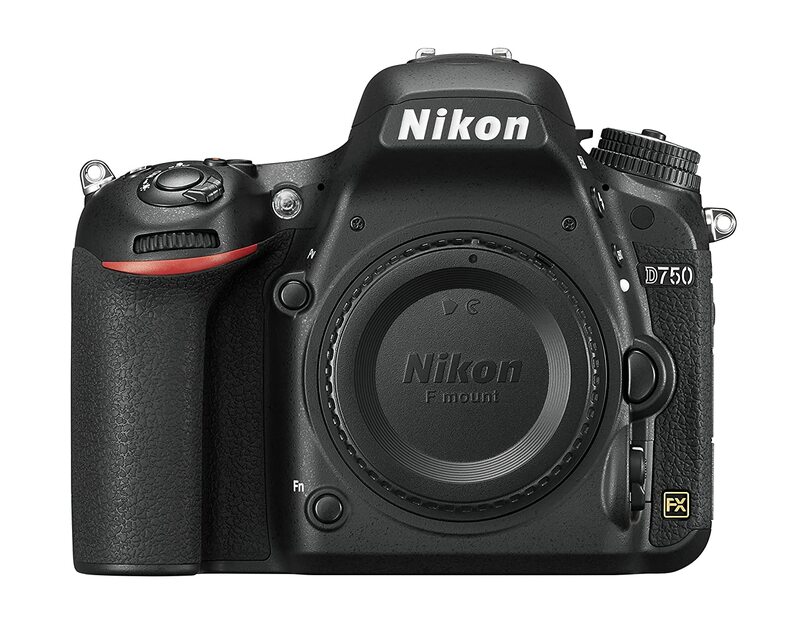 Over the years Nikon has been one of the lead industry manufactures but particularly in recent years they’ve been delivering great DSLR’s leaving the competition a step behind. With the power of this camera, you can push the settings to the limit and still produce stunning night sky images with rich tones and colors. Nikon has done an excellent job designing a user-friendly with intuitive menus so getting to know the camera and settings is nor hard at all and with some practice a beginner can use it without any issues. A great camera that will serve you for all you Astrophotography projects and for any type of photography as well. Let’s jump to the Mirrorless system! Sony has been a pioneer in technology for a long time and its the case for Mirrorless cameras. 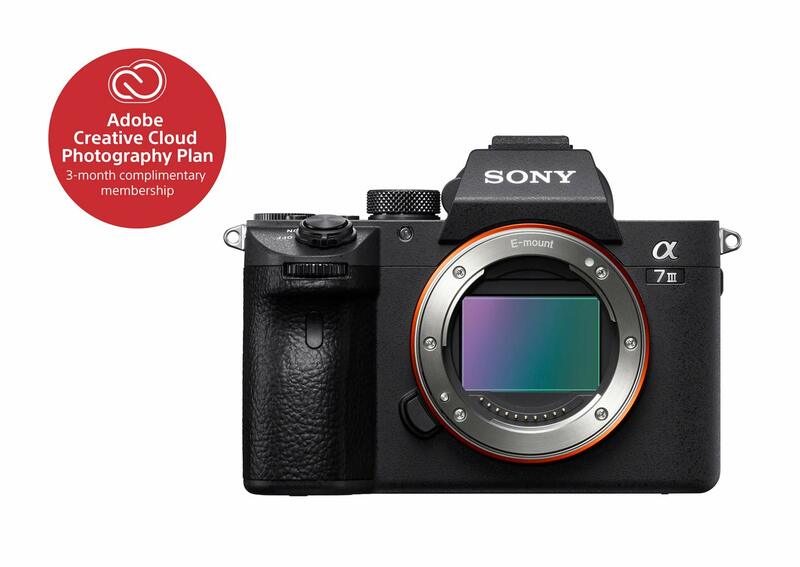 This is the third version of the popular Sony alpha A7. We found that its sensor delivers super rich images with a solid dynamic range. And is a perfect set up if you are planning to travel a lot and do some outdoors Astrophotography to remote places. Weighting 650grams this camera is light and compact. Keep in mind that although it’s a full frame lens mount is designed for the Sony lenses with a Sony E-Mount. 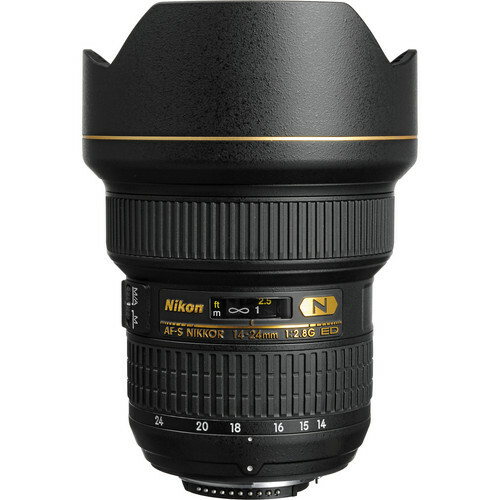 You can get a lens mount adapter to be able to use lenses from other brands like Nikon and Canon. Sony is known to produce the highest quality sensors in the market. In fact is no secret that the super awarded Sensor on the D850 was manufactured by Sony. So you can expect the same technology will be applied to this Mirrorless camera. The Sony Alpha A7 III comes with a remarkable system with 693 focusing points for phase detection and 425 for contrast detection. It can easily track any moving subject in autofocus setting and it you can be sure it will deliver. Being a mirrorless camera the focusing points are spread through all the frame. That’s a great advantage to the DSLR’s system that works great but the focusing points are usually packed in the middle of the frame. As we talked about in the advantages and disadvantages of each camera systems nowadays the Mirrorless cameras are delivering the same quality than the trusted DSLR’s. You should base your decision on your needs and how you are planning to use the camera. For example, are you planning to move around a lot and prefer a lighter more compact set up? If so, this camera is the right pick. One thing is for sure, this system will definitely be staying for a long time. If you are just getting your feet wet, both on photography and Astrophotography you need to consider a logical learning curve. 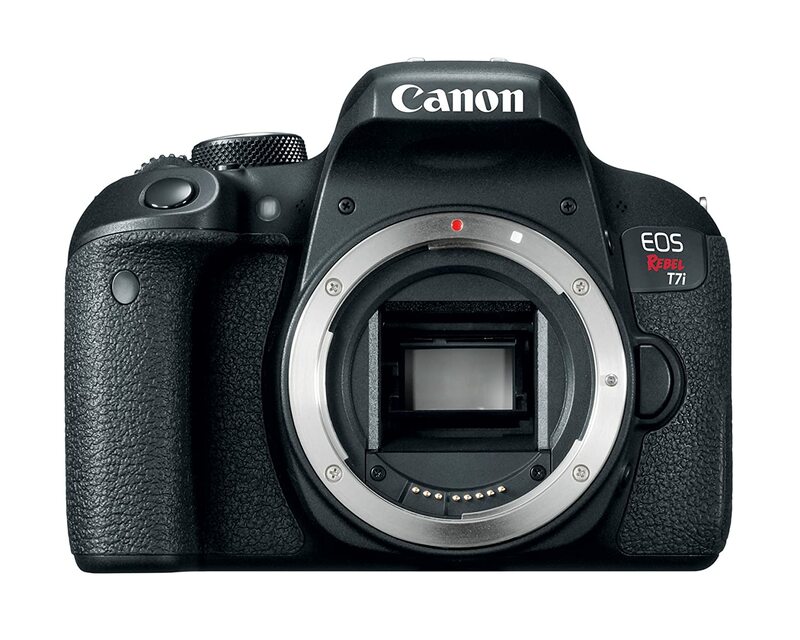 And the Canon T7i it’s a great beginner DSLR that will help you get started and deliver great results in the process. In this scenario getting a more advanced camera like the Nikon D850 wouldn’t make too much sense unless you don’t have a budget restriction and you plan to buy a camera that you can keep for a long time. For a beginner, this camera is the sweet spot for a tool that will help you produce really good images while you are learning all the manual settings you need to master. Keep in mind that this is a cropped sensor with some logical limitations. But it will come very handy if you want to get some close-ups and details of the planets. Built-in Wi-Fi, NFC, and Bluetooth. This camera is packed with a great sensor for its price point, that will especially deliver good stills. With a generous 24.2 Mp CMOS sensor, you can capture high-resolution images from the night sky. Again, keep in mind that this is a cropped sensor, not necessarily a bad thing if you are planning to do close-ups. The Canon T7i comes with a 45-AF point system that works really well, especially with video. Of course, don’t expect that this camera will be competing to more professional setups, but in its range, the camera performs really good with a touch AF feature when you on live mode through the LCD screen. This camera is a great choice for a beginner or for a backup camera for a more advanced astronomer. The quality that delivers considering its price point is really good. If you are just starting you can get this camera and save for a great home telescope and some quality lenses. We’ve already discussed the advantages and disadvantages of every camera system. This camera was designed exclusively for Astrophotography so it’s capability to produce beautiful images is remarkable. Of course, you won’t be able to use the camera for any other situation so if you want something that will serve not only your astroimaging needs but other photography types as well, this will not be your pick. As opposed to the other options this camera is hooked to a telescope and will be operated exclusively with a computer. So if you already have a laptop that’s a plus. If not, you’ll have to consider all the equipment you need to buy to be able to use it. This is a 1” CMOS sensor with 20.18mp resolution. The sensor and pixel size make the ASI 183MC suitable for DSO imaging for most scopes. This advance sensor was designed to capture the fine details of astronomical objects. 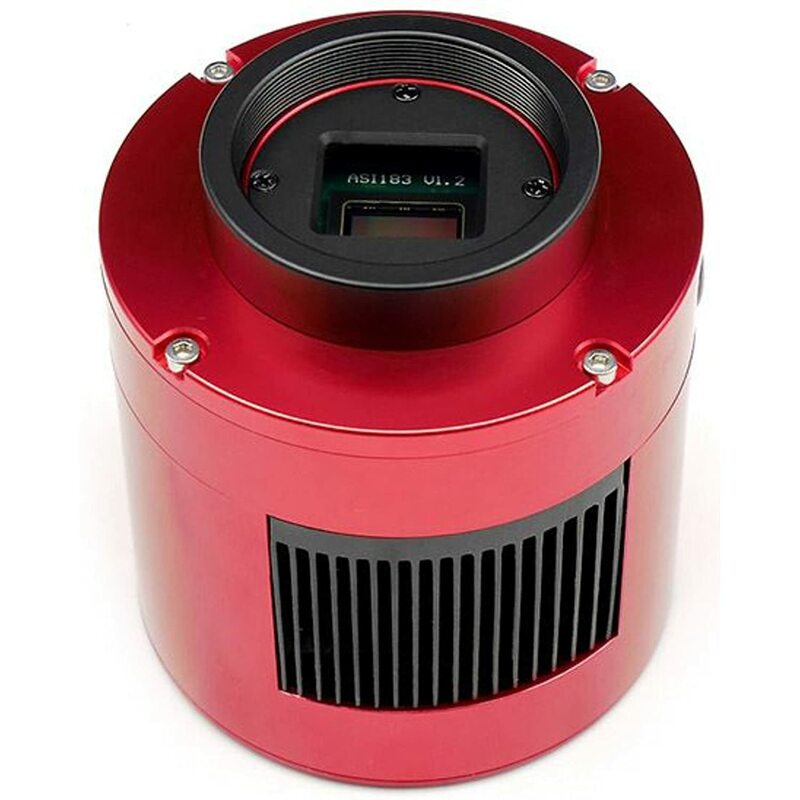 It has integrated TEC cooling that will help reduce the sensor temperature allowing low-noise imaging of fainter deep-sky objects. Designed for long exposures there’s no doubt that this is a very capable camera and it will be a perfect option if you plan to focus on deep sky astrophotography. Just be aware that you’ll have to learn how to do all the proper setup. 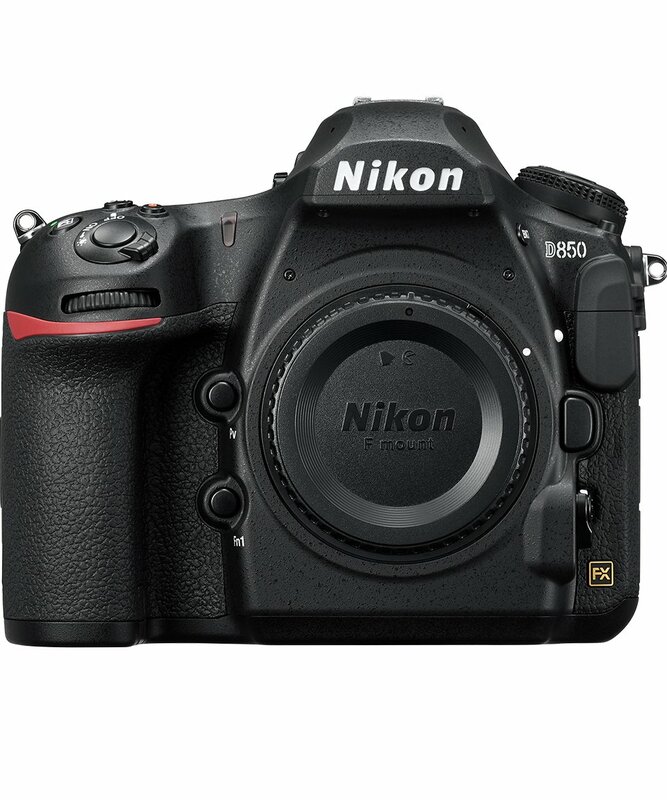 If you were tempted by the Nikon D850 but the price is to steep for your budget you will love this camera. In fact, all the most important features we are looking for to do Astrophotography (Sensor, High Dynamic Range, ISO range) are almost exactly the same with just minor values. Same as the Sony Alpha A7 III this camera is also compact and light, so travelling with it will not be an issue. Pro Video feature set including Simultaneously record uncompressed and compressed, Manually control ISO, shutter speed and aperture while recording. The Full Frame 24.2 mp CMOS sensor paired with Expeed 4 image processor is the perfect combination to produce rich high-resolution images. Dxomark scores the sensor 93 right behind the D850. It just delivers fantastic images. If you are willing to sacrifice getting a smaller File size (24.2mp vs 45.4mp) the good news is that the price point is fantastic and the price difference with the bigger cameras will let you get a couple of really good lenses or a great telescope for Astrophotography. This camera is easy and fun to use, you just enjoy taking it with you and that’s a really important factor. In the end, there’s no better camera than the one you enjoy and you will end up actually using it. Now that we have a better understanding of what makes a good camera for Astrophotography and which we believe are the contenders for this year, let’s go over some necessary accessories that will help get the most of your new gear. What accessories are worth considering? We are assuming you already have or plan to get a good telescope. If you need some help you can follow our guide for the best telescope for astrophotography. As you can imagine getting a good camera adapter to attach your camera to your telescope is crucial. Gosky produces some good ones if you want to check them out. Be sure to get the model that corresponds to your camera brand. There are compact star trackers like the iPotron SkyTracker that will help you track an object in the night sky and making your life easier with four tracking rates, 1X or sidereal, 1/2X for sky and landscape, solar and lunar. There’s no point on buying the most expensive camera if you don’t pair it with a quality lens. Is at least as important if you want to get sharp, vibrant photos. Again choose the ones that will much your camera brand. When you are working with long exposures the most minimal touch of the camera will leave you with a blurry image so these remote timers will help you shoot the photo without the need of touching the camera. Be sure to choose the model suitable for your camera brand like this Pixel TW-283/DC0 Wireless Shutter Release for Nikon. Tripods will be a fundamental tool to produce a sharp image. Think it this way, how stable are your hands for taking a 1 minute (shutter opened) photo? Chances are that no matter how good your pulse is you aren’t going to get far. Camera Tripods: If you are planning to do some Landscape Astrophotography or low light photography, in general, this is a must. There’s a lot of brands and models but we usually recommend Manfrotto’s Tripods while not the cheapest they get the job done with superb quality construction. The other type of tripod you’ll need is the Telescope Tripod if your telescope didn’t come with one. Be sure to check the type of mount and brands (there are a lot). You can learn more in our telescope for astrophotography buying guide. If you already have one of them and you don’t plan to do Landscape Astrophotography you don’t need to buy the dedicated Camera tripod. Lastly, we have Filters. The difference between using them or not is abysmal. They will help you wipe the light pollution that enters your frame and focus on the object you are trying to photograph. There are many types of filters designed for different purposes, for example, broadband filters that will help you with light pollution suppression. Or narrowband filters great for darkening the skyglow without altering nebula. If you want to learn more about filters you can check this guide. Tips and Tricks to get the best out of your Astrophotography camera. If you are new to photography, modern cameras deliver images In two types of format, Jpeg and RAW images. Well jpeg is the most common extension for photographic digital files, is the ending result with a compression that can be adjusted. In fact jpeg images are what you’ll end up using. In the other the hand RAW images is the way for a digital camera to record the image with any type of compression, as its name says it just raw pure information. These will end up as heavier files that need to be passed by an editing software like Lightroom or Photoshop. Now why would you want to choose RAW images? Because we want to gather the most information possible. If you use jpeg as an output you are telling the camera to make all the desicions and compress the file. This will leave you with a weaker file if you want to edit. Also you can always go back to the original fila the RAW images. So be sure to set up your camera settings to write the card with RAW high resolution images. Topically you’ll find that both camera lenses and the optics of a telescope produce comma aberration to the ending result. That’s why is so important to get good lenses and telescopes in the first place. The better the optics the less aberration you’ll be dealing with. There’s also a quick solution with modern softwares that take the info of the lens that was used and will give options to correct them digitally. Nowadays smartphones evolved in super handy tool and with the right app you can use virtually for anything you want. Astrophotography is not exception there lots of apps that will help you from locating objects and plants in the night sky to data bases with the information you’ll need. There’s a common misconception of what photo editing software represent. Purist May say that the use of this tools if for manipulation of the real photograph. You want for an Astrophotography sesión and recorded hundreds of photos in RAW format. Softwares like Lightroom will help you organize, select and edit the photos in a way as dark room worked for the film days. Of course you can also use pick up Photoshop and do a photomontage but the difference will be on the use that you decide. Picking a file adjust the shadows, highlife and contrast has absolutely nothing wrong in our view. It’s just how modern photography works. So there you have it, we cover the most important aspects of what you’ll need to start your Astrophotography journey. Hopefully, we made your life a little easier! From beginners to more advanced cameras, you can be sure that what we just covered are super capable tools that will produce stunning imagery. But remember, no matter which camera and equipment you decide to buy, in the end, producing quality images of the night sky will depend more on your knowledge and how much time you are willing to spend with trials and errors with your gear to get to perfect exposure. So the best advice we can give you is just to go out, practice, have patience and have fun taking photos.